Spur of the moment lunches are always the best kind! 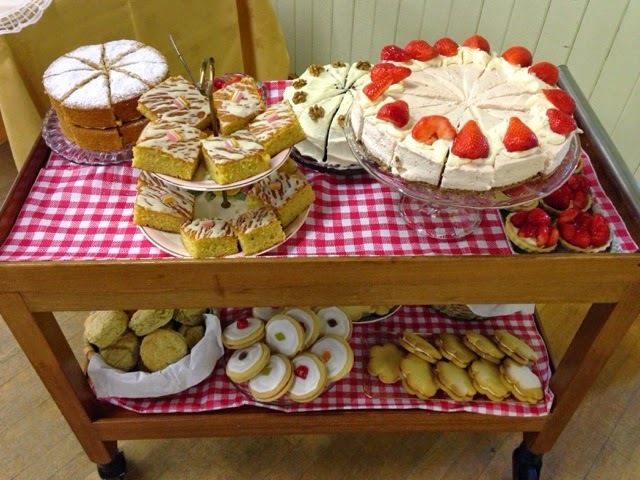 My mum got in touch this morning to see if I fancied going to a local charity afternoon tea that was actually held just down the road from me in a teeny cute village hall! It was to raise awareness for Breast Cancer Care & anything that is raising money to help fight cancer is a worthy cause in my book! The theme was Strawberries & what a lovely job they did.. the hall was transformed into the cutest little tea party with flag bunting & strawberry bunting draped from the roof, strawberry plants a centerpieces, beautiful china tea sets & masses of strawberry cakes & tarts! Scrumptious. I love vintage china especially when it’s all miss-matched & you all know my love for anything floral! 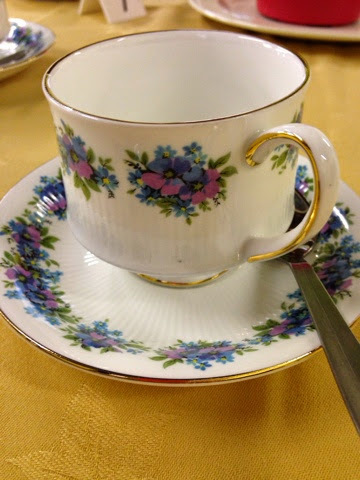 There’s just something so satisfying about having a cuppa out of a beautiful teacup & saucer! How delicious do these look! The presentation was beautiful but nothiinnnggggg compared to the taste! I had the strawberry cheesecake & it was hands down the most delicious cheesecake I have ever tasted – it was seriously strawberryishly scrumptious! My mum had a strawberry tart & Mini Meldrum licked the icing off an empire biscuit! Oh the cakes were all following three bowls of pea & ham soup! 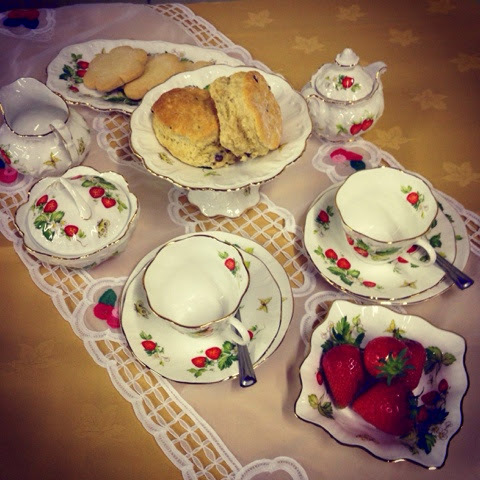 How adorable is this tea set – apparently it was a hidden treasure in a local charity shop! Seriously jealous of this find! 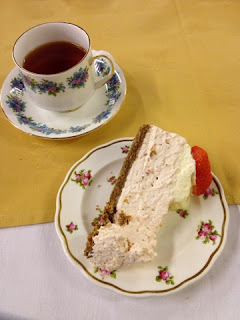 We entered the raffle to donate a little more money as the lunch, tea & cake was such a bargain at only £4.50 so bought £5 of raffle tickets & just had a knock at the door delivering a bottle of fizz & a glass serving dish… all in all was a lovely couple of hours! The lovely organisers raised £550 for breast cancer in two hours so it was definitely a success & thoroughly enjoyable. 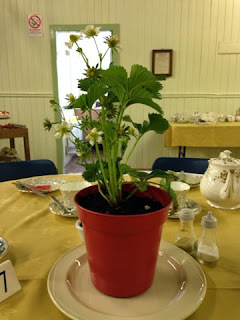 It really was scrumptious! Already looking forward to next years!